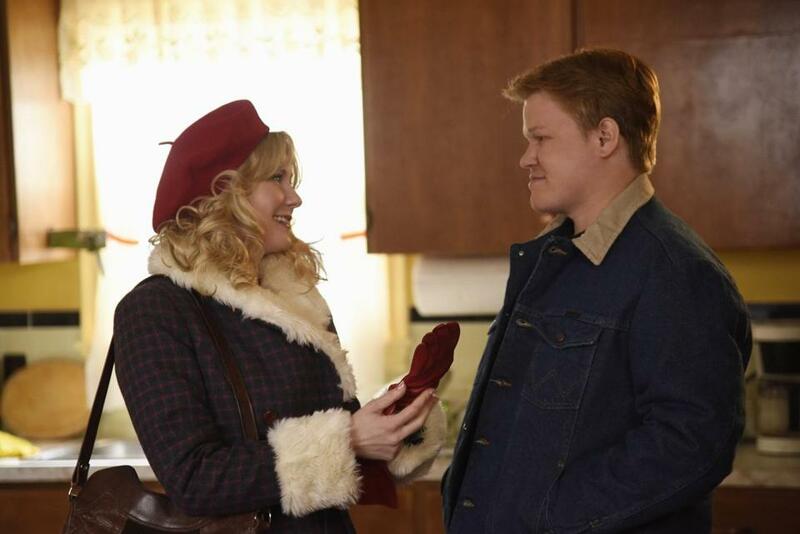 The second season of “Fargo” premieres Monday at 10 p.m. on FX, and it is a triumph. After watching the preview episodes, so beautifully cast with Patrick Wilson, Ted Danson, Kirsten Dunst, Nick Offerman, Jesse Plemons, Jean Smart, Cristin Milioti, Jeffrey Donovan, and Brad Garrett, I can’t wait to see more. It’s drolly funny, it’s effectively creepy, it’s tightly plotted, it’s loaded with beautifully defined characters, and, somehow, with its Midwestern accents and scuzzy diners, it’s all peculiarly and specifically American. Yes, the return of “Fargo,” whose first season won three Emmys, is a triumph — and it’s a triumph in three distinct ways. First, it’s one of the few movie-to-TV-series transformations that really works. Right now, TV is borrowing tons of older movie titles in order to expand them into series, with, among others, “Minority Report,” “Limitless,” “Scream,” and “12 Monkeys” on already and “Westworld,” “Taken,” and “Training Day” in the works. There are enough of these adaptations — bet you can’t wait for “Monster-in-Law” — to constitute a craze among TV outlets. What’s the appeal? Usually, it’s financial. The titles are already familiar to audiences, which makes them “presold”; publicists don’t need to familiarize viewers with the names or the concepts. But the craze is a little crazy, when you look at the limited ratings success — not to mention the limited quality — of so many of these shows. For every “M*A*S*H,” there are probably a dozen lousy failures such as “Clueless” or “The Firm” or “The Crow.” The world of entertainment has had better luck moving TV series over to the movies, with “Star Trek,” “21 Jump Street,” and “Mission: Impossible” among the successes. “Fargo,” though, completely justifies FX’s decision to buy into show creator Noah Hawley’s idea of expanding on the 1996 Coen Brothers movie. Hawley clearly seems to have pursued “Fargo” because it inspired him, not because he needed a brand name. He has built beautifully on the original, creating his own Coen-influenced but quite distinct atmosphere as well as a broader mythology of the region. The first season offered a new, alternative, and compelling take on the story in the movie; the second season moves back in time to 1979, to follow a different murder case and the people who are directly and tangentially connected to it. It’s of a piece with season 1, since the central character, Wilson’s Lou Solverson, is the father of the chief of police from season 1 (when he was played as an older man by Keith Carradine). But it’s also different and remarkably engaging. 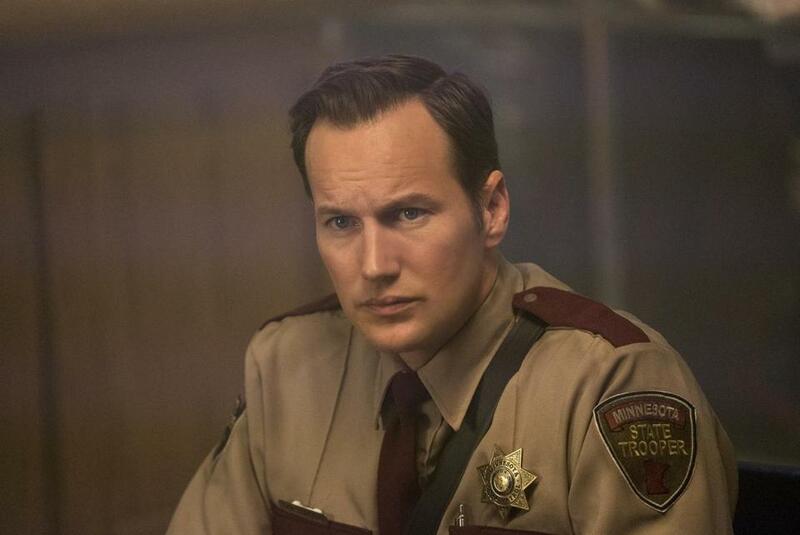 Patrick Wilson as Lou Solverson. Which brings me to the second triumph, another trend that “Fargo” aces: The anthology series. Right now, TV outlets are exploring seasonal reboots with series including “American Crime,” “American Horror Story,” and “True Detective.” It’s not an entirely new idea; as with so many things, “The Twilight Zone” was there first. But anthology shows have come into favor, as a way to combat story arcs that become unwieldy and tiresome to viewers after many seasons. With anthologies, a bad season — think “True Detective” season 2 — does not necessarily damn an entire series. With any given season premiere of an anthology show, viewers can return for another fresh round, and new viewers can join in for the first time. Single-season commitments also appeal to in-demand actors such as Matthew McConaughey and Patrick Wilson. 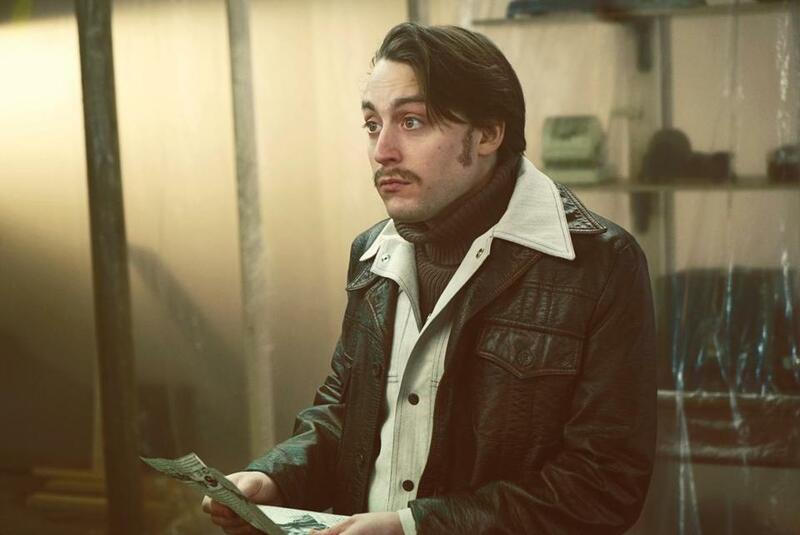 With season 2, “Fargo” shows exactly how well the anthology approach can work. While technically it’s a prequel, the story line is nonetheless completely self-standing. You can jump in without knowing anything about what went down last year. But if you’re a returning viewer — and I suspect most viewers of season 1 will return, it was that good — then there are common themes to ponder: how evil can so easily invade innocence, how a single crime can trigger more crimes like a falling line of dominos, the way passivity can make people into victims, how stubbornness can be heroic. “Fargo” is becoming a label that means a vivid Midwestern locale, an elaborate crime, and a cast of unique characters. It means “Breaking Bad”-level cinematography and soundtracking that bring just the right kind of style to the particular story being told that year. Which leads me to the third triumph. The new season of “Fargo” shows TV-making at its most impressive, with every single aspect — the writing, the acting, the directing, the cinematography, the music, the set design — spot on and in sync. Many of the lives in “Fargo” are banal, but they are presented with the kind of focus, detail, and structural innovation that make them riveting and, occasionally, comic. The tone is so beautifully elastic on this show, so that even the gore — and there is plenty of it, including a few stray fingers and ears — can inspire chuckles even while it’s grossing you out. It might be unfair to single out any particular actor on the show right now, they are all so good, but Jeffrey Donovan, as the oldest son in a crime family, and Jean Smart as that family’s matriarch, are surprising in their chameleonic transformations. Patrick Wilson is also one of the standouts, as a Minnesota state trooper dealing with the aftermath of a shoot-up at a diner while caring for his daughter, Molly, and his wife, Betsy, who has cancer. He’s a Vietnam veteran, which ushers in some interesting notions about the impact of a war at home, notions that pervade the script. He is the soul of “Fargo,” trying to hold the center in a family and a country in the middle of an uneasy sea change.